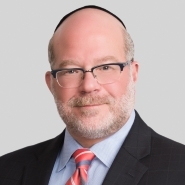 Jay Levine, a partner in Porter Wright's antitrust practice, recently was interviewed for the article, "FTC pay-for-delay notification for 'biosimilars' would require new law," published in the March 6, 2014 edition of the Policy and Regulatory Report, part of the Financial Times Group. ... "Jay Levine, an antitrust partner at Porter Wright, said that right now there is little for regulators to worry about, as there are not yet any approved biosimilars on the market, no less any reverse payments between biologics makers. 'It may be a solution in search of a problem,' Levine said of efforts to extend notification requirements to biologics companies.